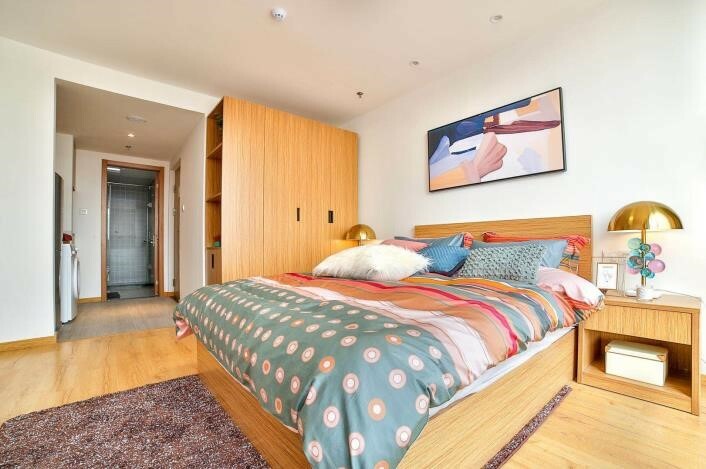 New completely refurbished high rise apartment designed with foreign decoration, 1 Bedrooms and 1 Bathrooms offer plenty of space to make this apartment your new home in Shanghai's hippest area. Location - This property is located in the Jing'an district. Popular among expats, all your required amenities are a short walking distance away. This includes ATM’s, malls, convenience stores and restaurants, it provides easy access to numerous shopping and entertainment options, as well as cultural attractions. StayInShanghai.com is the only Expat-run real estate agency that understands the requirements and after-service of our clients. We hand pick the best properties available in the most foreigner-friendly, central areas of Shanghai - close to all transportation and bring them to our clients at the cheapest price possible. Here at StayInShanghai we collaborate directly with landlords to ensure you are not paying a foreigner premium. We strive to oversee and care for your needs from the point of contact until the day you leave. I'm interested in the property located in Jing'an District for 6800 RMB. Please contact me. Thank you.